A normal heartbeat in an adult female consists of a regular rate and rhythm. Heart rate, or pulse, is the number of times your heart beats in a minute. Rhythm is defined as a consistent pulse with regularly spaced contractions of your heart. Pulse can be easily measured at home with any timer, but rhythm of a heartbeat is best measured at a physician's office. A normal heartbeat has regular rhythm, also know as sinus rhythm, and is typically associated with a pulse of 60 to 100 beats per minute. A heartbeat is an accurate measurement of your cardiovascular health. By assessing the speed of your heartbeat, or pulse, you can objectively measure how hard your heart is working both at rest and during exercise. Additionally, by analyzing the rhythm of heart contractions, a physician can determine whether your heartbeat is indicative of normal heart function. Each of these measurements is an indirect way to assess oxygen delivery by the bloodstream. An adult woman's heartbeat should have a regular rhythm, which means that contractions of the heart have regular spacing and are of consistent strength. This rhythm is termed sinus rhythm, and is best measured by an electrocardiogram (ECG or EKG) at your doctor's office. 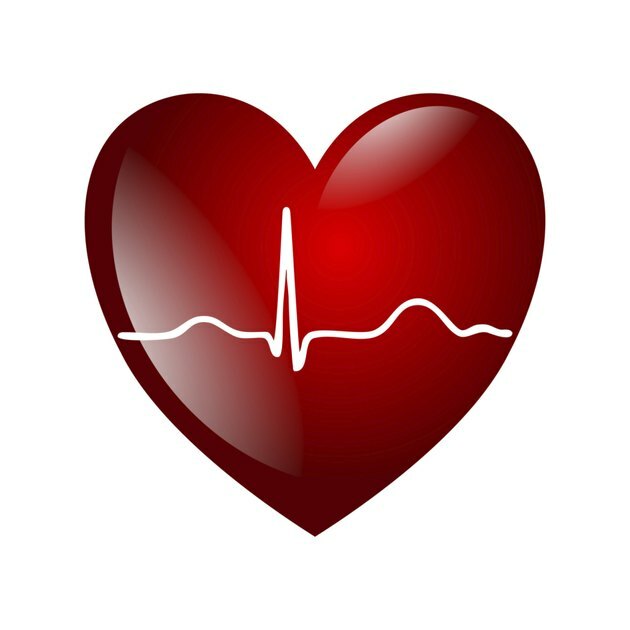 According to MedLine Plus, the normal pulse for an adult woman's heart is between 60 and 100 beats per minute. Pulse depends on many factors, including fitness and medications, so it is important to establish your personal baseline. Each of the components to a heartbeat can be assessed at home for consistent monitoring, and this information can be a complement to what is measured in the doctor's office. Pulse is easily measured by counting the number of beats per minute at various locations on your body, including your wrist and neck. Rhythm is checked by feeling for a consistent interval and strength of each pulse beat at these same locations. Knowing your heartbeat baseline and checking it regularly enables early detection and intervention of potentially serious problems. Suddenly rapid or slow pulses, termed tachycardia and bradycardia respectively, can indicate acute stress to your heart, and usually necessitate a call to your physician. Likewise, a change in rhythm of your heart is termed an arrhythmia, and should be checked by your doctor with an ECG. Every woman's heartbeat is slightly different, and you should monitor yours closely to determine your personal baseline. Detection of changes to your heartbeat justify a trip to the doctor, but it is important to note adverse effects can occur that are not detectable at home as well. Regular cardiovascular checkups are critical for adult women, as some medical issues are only detectable by more advanced equipment in the doctor's office. Mayo Clinic: Heart Rate - What's Normal?